Can the same act of disregard be either negligence or gross negligence? The answer is “Yes”, because as we shall see, it is the degree and purpose of the negligence that is the question. It is a degree of willful disregard that makes all the difference. Let’s start with some legal definition and then maybe some case law examples. As you can see from the above definition, it is not completely a black and white issue. It is mired in case law and interpretation. The fact that contributory negligence is also part of the definition means that the plaintiff in a negligence case was also somewhat culpable in the contribution that caused the injury by the defendant’s negligence. The best way to see negligence would be some possible situations in which this could occur. If a parent inadvertently leaves their toddler in a locked car for an extended period of time causing heat stroke or death could be considered criminally negligent. It was not the intentional, it could have been that the parent had so much on their mind, or was detained at their destination longer than expected. There was not the intent to be negligent. It just happened due to falling short of an obligation to protect a child. If you are texting while driving your vehicle and the distraction resulted in an accident causing physical damage to life and property, this would be considered negligent. One could make the same claim if the driver was unwrapping his newly acquired “fast food” sandwich while driving. If the act of unwrapping one’s sandwich while driving caused a distraction this may be considered negligent. Negligence can occur in just about any setting or industry. It could be a nurse who neglects her patients that she has an obligation to care for. It could be a medical doctor who prescribes the wrong type of medicine. It could even be negligence in an industrial setting if proper safety procedures are not put in place and enforced to be followed. These are examples of negligence. In the financial services industry, claims against financial advisors can be brought against them in the form of selling inappropriate or ill-liquid products to those clients who cannot afford the illiquidity or it was not appropriate. An example might be placing an 80-year-old client in an annuity with a 12-year surrender charge. This does not mean that the annuity product was bad, it simply means that it was not the best product for that client at that age. It would be considered negligent and a lack of knowing their customer case against the advisor. It may even be considered gross negligence on the part of the advisor if the main motivation was to generate a commission with the willful disregard of the client and their money. Gross negligence would be extreme cases of negligence where it is a much more willful disregard for human life or property. Suppose it was a youth camping outing where they were doing rope climbing! If one of the students managed to slip and break a leg, it would be gross negligence on the part of the instructor to not get medical help immediately. If the instructor wanted to wait until after the rope climbing class was finished to get the help that would be gross negligence. In many states, if a person signed a waiver not to sue a company for negligence, that means they have waived their right to sue. However, it is in these cases that many states may not honor the “negligent waiver” and simply escalate it up to a “gross negligent” case. This would be something that the plaintiff did not waiver or sign away his or her rights. 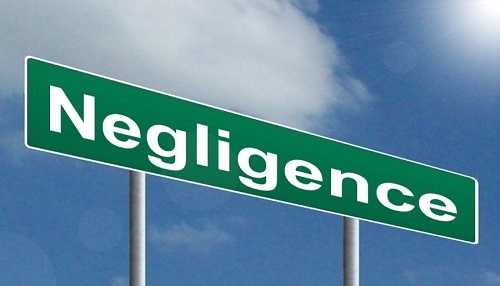 So to sum up, negligence is the lesser crime as it was not willful, intentional or malicious. It just was an act of negligence. Gross negligence carries with it a more willful, intentional or even malicious intent, placing even more and higher damage to property and life. Betty Norris. "The Difference Between Negligence and Gross Negligence." DifferenceBetween.net. November 21, 2016 < http://www.differencebetween.net/miscellaneous/the-difference-between-negligence-and-gross-negligence/ >. I am David I need help to take down a Goliath. I have a problem’ I attended a disciplinary hearing at TotalGarage Carolina Mpumalanga were i was charged for gross negligence I pleaded not guilty for breaking a pump the chairperson decided to change “gross negligence” to “negligence” he then said he found me guilty with negligence not gross negligence how can I be punished for negligence instead of gross negligence? What if I sign a waiver of liability to sue a car dealership because he forced me to settle by putting me in the poorhouse by holding my car hostage.